History made in Panagyurishte, Japan guarantees title win after just one round! History was made at the Seamaster 2017 ITTF World Tour Asarel Bulgaria Open on Thursday 17th August as Japan prevailed in each of the Women's Singles Round of 32 encounters in Panagyurishte, becoming the first country to achieve the feat since the formation of the ITTF World Tour in 1996. 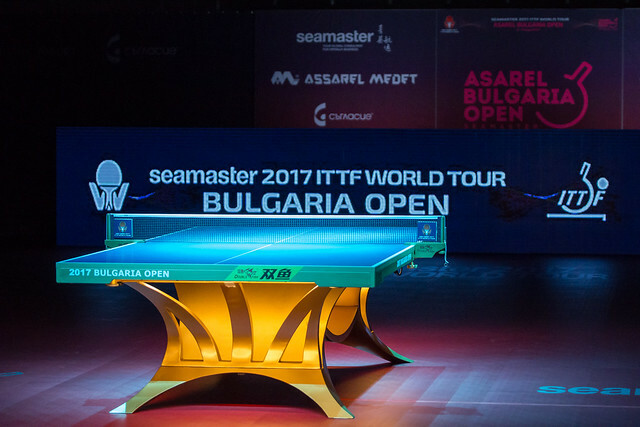 The Seamaster 2017 Asarel Bulgaria Open is the 320th ITTF World Tour event. Earlier in the day eight Japanese competitors emerged victorious in upper half of the draw, and the evening session produced a similar outcome in the lower half of the Women's Singles draw as Japan well and truly dominated the field. Miyu Maeda put in one of the standout performances in the lower half of the draw, as she overcame the number nine seed Matilda Ekholm of Sweden. Rather crucially for Miyu Maeda the opening two games dramatically ended up going in her favour and while Matilda Ekholm managed to register a game win on the scoreboard the seeded player couldn’t prevent her early elimination from the event (13-11, 16-14, 8-11, 11-8, 11-6). The result was a fantastic outcome for Maeda, but a tough challenge awaits the unseeded competitor in the next round and that is a fixture against Sakura Mori. Fifth seed Sakura Mori has already been awarded an ITTF World Tour Women’s Singles gold medal this year having lifted the trophy at the Seamaster 2017 India Open, and her Women’s Singles campaign has got off to a bright start in Panagyurishte with a six games victory over Adriana Diaz of Puerto Rico (11-4, 14-12, 4-11, 11-5, 7-11, 11-6). While Sakura Mori has won a Women’s Singles title on the 2017 ITTF World Tour the same can’t currently be said of Mima Ito, however, that could change come the tournament’s conclusion in Panagyurishte after the teenage star made an impressive opening to her campaign. Emina Hadziahmetovic was of the best performing players of the qualification tournament which took place prior to the Bulgaria Open but the Bosnia and Herzegovina representative couldn’t quite replicate that form in the Round of 32, losing out to Mima Ito by a comfortable scoreline (6-11, 6-11, 0-11, 5-11). The win has booked Mima Ito a meeting with Saki Shibata in the last 16. Another title hopeful is Honoka Hashimoto and the fourth seed, who is fighting to win her first Women’s Singles gold medal on the ITTF World Tour, will head into the next round of matches with confidence on her side following a positive display against Turkey’s Sibel Altinkaya (11-7, 13-11, 11-5, 11-6).